Online Registration is Now Open for the Regions 4 and 6 Oklahoma City Tribal Gathering. Registration is free for all interested Title IV-B funded tribes that reside within ACF Regions 4 and 6 in Alabama, Arkansas, Florida, Georgia, Kentucky, Louisiana, Mississippi, New Mexico, North Carolina, Oklahoma, South Carolina, Tennessee, and Texas. The conference will be held at the Renaissance Oklahoma City Convention Center Hotel and Spa. A special conference rate of $82.00 per night has been arranged for all Region 4 and 6 tribes who wish to attend this gathering (please note that those selected for a team scholarship will not need to make their hotel reservations directly). The deadline for hotel reservations at the special rate is Monday, July 18, 2011. 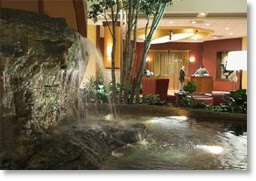 Renaissance Oklahoma City Convention Center Hotel and Spa is located just 10 miles from the Oklahoma City/Will Rogers Airport. Parking: Valet parking only, fee $25.00 daily; unlimited ins/out. Off-site, self-parking is available 1 ½ blocks from the hotel at Santa Fe Plaza, at the rate of $7 daily; ins/out charges additional. Santa Fe Plaza is connected to the Renaissance via a sky bridge. 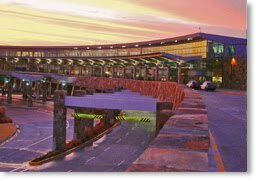 Oklahoma City/Will Rogers Airport is located just 10 miles from the Renaissance Oklahoma City Convention Center Hotel and Spa. Gathering attendees arriving by way of Will Rogers Airport and driving to the Renaissance Oklahoma City Convention Center and Spa can find Driving Directions Here. Airport shuttle service, on request, fee: $10.00 (one way); (405) 228-8086, credit card only. Alternate transportation: Airport Express; on request, estimated fee: $20.00 (one way); on request, (405) 681-3311. Estimated taxi fare:$ 28.00 (one way); Yellow Cab (405) 737-0400, Thunder Cab (405) 600-6161.